Our most recent nationally representative survey finds that the number of Americans “very worried” about global warming has reached a record high (22%) since first measured in 2008. A majority of Americans (63%) say they are “very” or “somewhat” worried about the issue. Likewise, Americans increasingly view global warming as a threat. Since Spring 2015, more Americans think it will harm them personally (50%, +14 points), their own family (54%, +13 points), people in the U.S. (67%, +18 points), people in developing countries (71%, +18 points), and future generations (75%, +12 points). 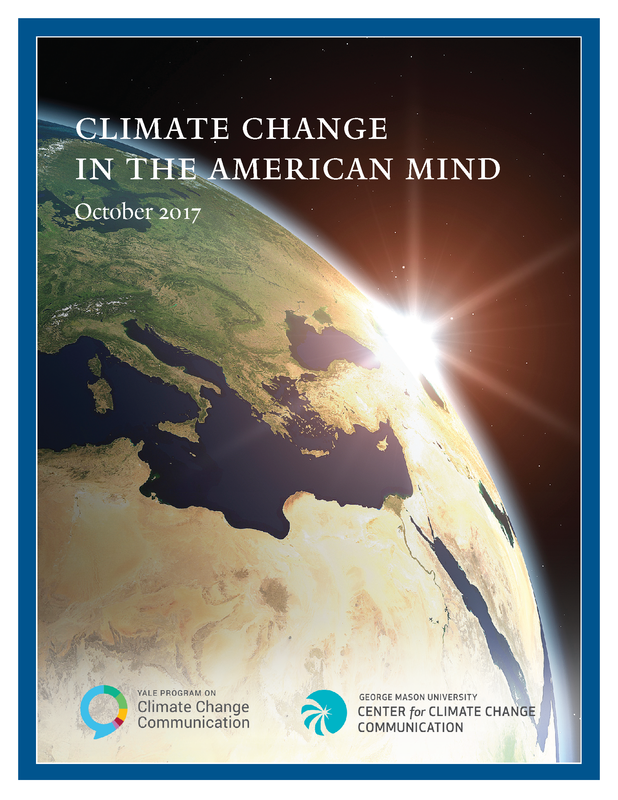 This report is based on findings from a nationally representative survey – Climate Change in the American Mind – conducted by the Yale Program on Climate Change Communication (climatecommunication.yale.edu) and the George Mason University Center for Climate Change Communication (climatechangecommunication.org), Interview dates: Oct. 20 – Nov. 1, 2017. Interviews: 1,304 Adults (18+). Average margin of error +/- 3 percentage points at the 95% confidence level.